Does your child want a Karate Party? 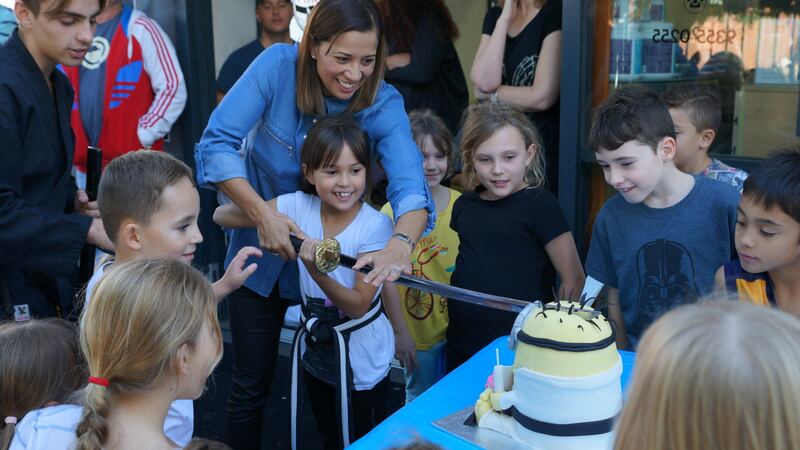 Would they like to cut their own cake with a real Samurai Sword? Then throw them a party they will never forget! Our parties include Karate games, training sessions and a supervised cake cutting ceremony with your child using a real samurai sword. All under the supervision of our professional instructor team, where your birthday Karate Kid is the star. Receive 20% Off All Membership Payments By Signing Up On The First Day Of Your 5 Class Promotion!